The Ferienregion Ahrntal ski area is simply idyllic, with extraordinary views highly appreciated by tourists. 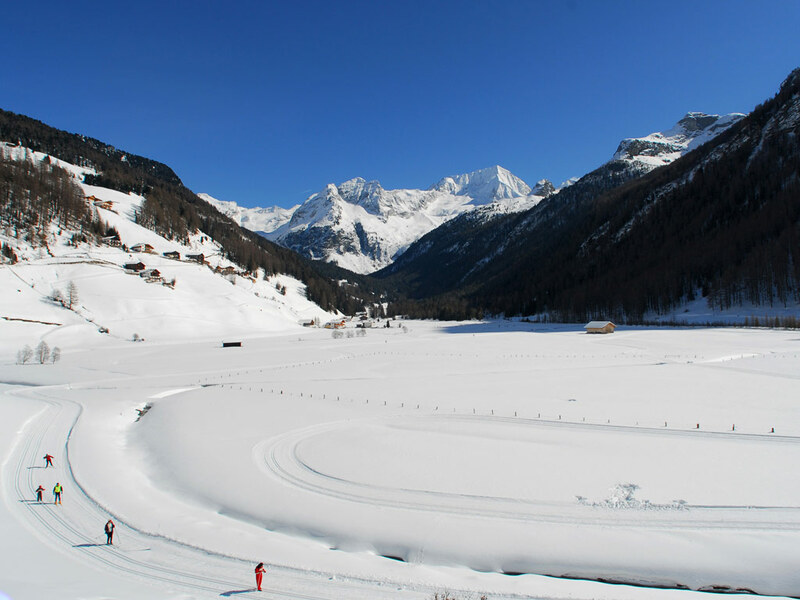 It is the perfect place for cross-country skiers, who can spend days exploring the wonderful tracks here. The resort itself is inexpensive and offers many attractions for children. The higher altitude runs, which can be reached via a chair lift, are extraordinarily wide and of medium difficulty. 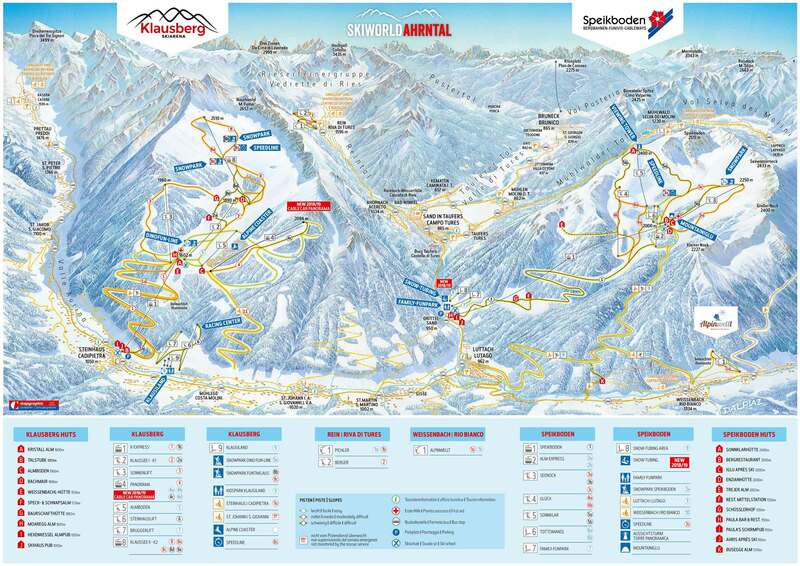 Even though the ski area is relatively small, with only 41km of slopes, everyone is in for a treat here. For beginners there are 5 blue runs near the intermediate station. There are also plenty of red ski slopes for intermediate skiers and advanced skiers have a great choice of 12 different black slopes. There are 2 snow parks and plenty of jumps and rails here which means snowboarders will be over the moon. 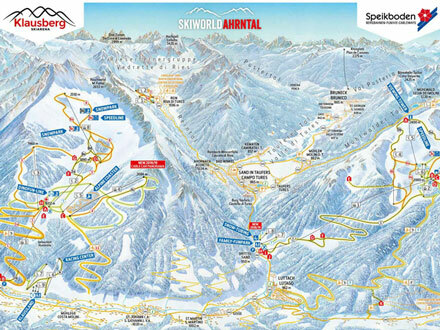 The information applies for the ski area of Klausberg. During the ski season information is updated daily.